Kenneth To pictured competing in 2015. “He felt unwell at a training session and was taken to hospital where sadly, he passed away,” a statement said Tuesday, adding that the Institute was “deeply shocked and saddened”. Your love and passion for swimming will always be in our hearts, thank you for everything you’ve given to swimming,” Sun posted on Chinese social media. 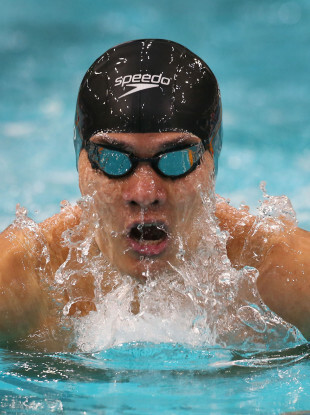 “I still can’t accept the news of his death, it’s so shocking,” Hong Kong swimmer Yvette Kong told the Apple Daily newspaper. Email “'No pain in heaven' - Tributes as record-breaking swimmer dies at 26”. Feedback on “'No pain in heaven' - Tributes as record-breaking swimmer dies at 26”.